For all you Star Wars fans, here’s a relatively recent article I thought might be of interest. As always, it’s hosted on the website, WhatCulture.com, that purchased it. There’s a link at the end of the excerpt so you can easily read the rest. Newsflash – Andy Serkis’s character in The Force Awakens is not called Uber after all. That alias is now confirmed as a code name designed to preserve the identity of the new character. Having said that, his identity doesn’t seem to have actually needed any concealment, so fans are left wondering what the point of all that hoo-hah was. 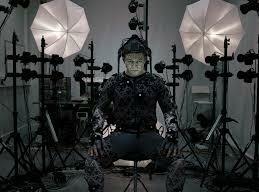 Serkis is, in fact, playing Supreme Leader Snoke. Barely any better than “Uber”, Snoke is one of those names that might take a while to get used to, but remember that Palpatine was also a name that originally attracted a fair amount of amusement and it seems fine now. The revelation of the character’s name has set the Internet ablaze with speculation concerning his role in the movie. There’s even a short entry about Snoke on Wookiepedia, which is hilarious in its vagueness. Snoke is “the supreme leader of an organization,” it says, going out on the proverbial limb. So who is Snoke, and what part does he play in the movie? Here are the six best educated guesses about who and what he is. Speculation this may be, but don’t be at all surprised if one of these theories is right on the money. Oh, and by the way, thanks for all your support! My page views on WhatCulture have now broken the two million mark! Whoot-whoot!